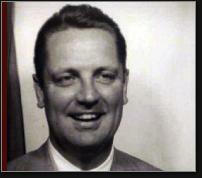 William Ross Sheppell was born March 11, 1926 in Newark. One of six brothers, he grew up in the soccer hotbed of nearby Kearny, aka the Cradle of Kickers, where his father was in charge of the city’s waterworks. Billy became interested in horses after working in a stable as a boy, but it was his beautiful singing voice, as well as his all-around athletic skills, that distinguished him in his pre-teen years. The Sheppell boys were inspired by Archie Stark, the star of local clubs in Kearny and Newark. As a teenager, Billy followed in the footsteps of his three older brothers and became the star of the Kearny High soccer team, graduating in 1944. Billy enlisted in the Navy after high school, saw action in the Pacific as a gunner, and then rejoined the Kearny Celtic club, for whom he had started playing at age 17. A talented baseball player, he also attended tryout held by the Yankees, but nothing came of it. 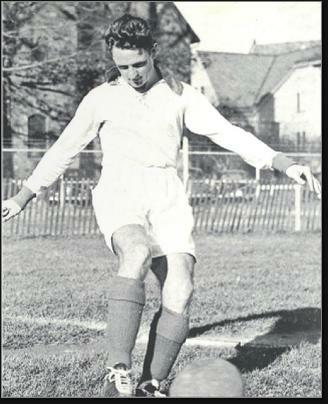 In 1947, Billy enrolled at Seton Hall, where he became the leader of the Pirates’ soccer team. He was a second-team All-American forward as a sophomore in 1948 and first-team All-American as a senior in 1950. He was the first soccer player in school history to earn this honor. During this time Billy also played for the Newark club in the German-American Soccer League. He continued to play for them until he was in his late 20s. The level of competition in the GASL was very high at this time—many players came to the area from war-ravaged Central Europe. In 1948, Billy began playing for the U.S. national team, making his first appearance in a 3–2 victory over Israel. His next appearance came in a 4–0 loss to the visiting Scottish team in 1949. Later that fall he competed in the North American Cup, in Mexico. The team’s good showing in that tournament earned them a spot in the 1950 World Cup draw, but Billy was not selected to accompany the team to Brazil. By 1952, Billy had become a leader on the national team and traveled to Helsinki for the Olympics. Other stars of the team included Lloyd Monson and Ruben Mendoza, an early master of the bicycle kick. The Americans were shut out by Italy 8–0 in the opening match and eliminated from the tournament. In 1954, Billy again competed in World Cup qualifying matches. Unfortunately, a pair of losses to Mexico kept them from grabbing one of the two qualifying spots. In 1955, Billy stepped away from top-tier soccer to focus on his business career as a salesman and, later, an executive for Noritake China. In the 1960s, he married and moved to Ohio. He continued to be active in local sports, coaching his sons’ baseball and soccer teams in the 1970s. Billy also fulfilled a lifelong dream when he bought a farm and began breeding racehorses. He passed away at the age of 86.